IPIC 2019 REGISTER NOW & make your work trip a vacation! Who said your Spring Break vacation in Las Vegas couldn’t also be your annual work trip? 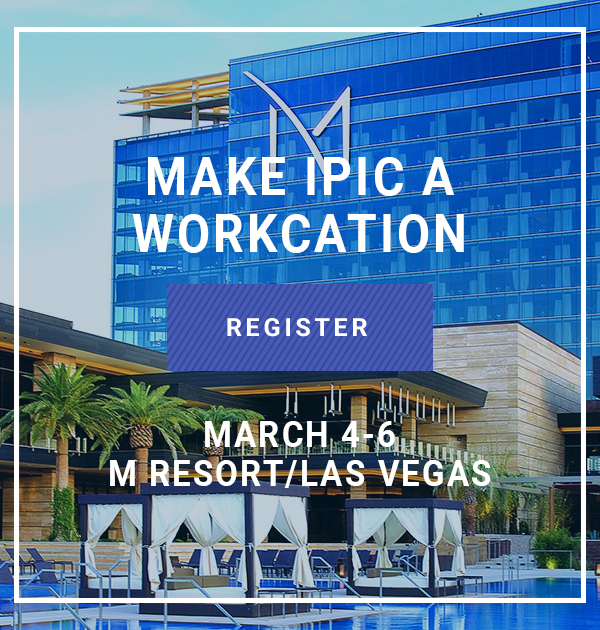 This March make IPIC 2019 a WORKCATION of a lifetime. Not only will you get to experience Las Vegas when it isn’t scorching hot but this year’s annual conference will be unlike any other. We’re doing away with the traditional conference structure and going for a freestyle approach. Now, this is the type of work you’ll enjoy doing on vacation. Our primary focus is to provide you with meaningful networking opportunities, member-driven content, and time to connect to things that truly matter. You’ll be blown away by this EPIC experience. Register now for your dream workcation, IPIC 2019!